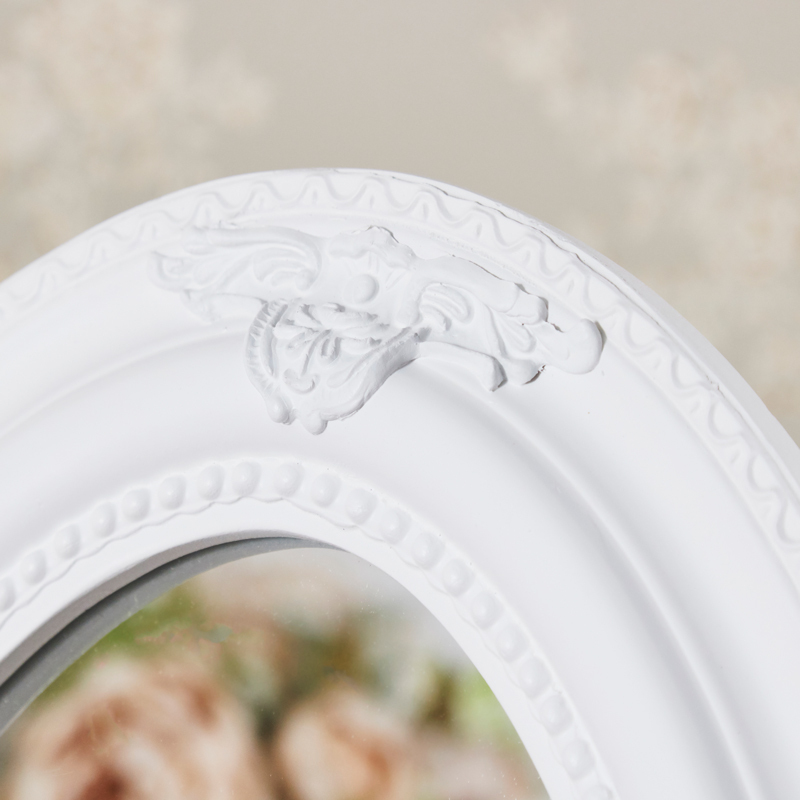 This mirror is just perfect for a vintage French style boudoir, bedroom or dressing room. Freestanding, full length cheval in a vintage white colour. Classic oval shaped mirror set in a stand with cabriole style legs on the front and pull out stand at the back. The mirror can easily be tilted to get the right angle. 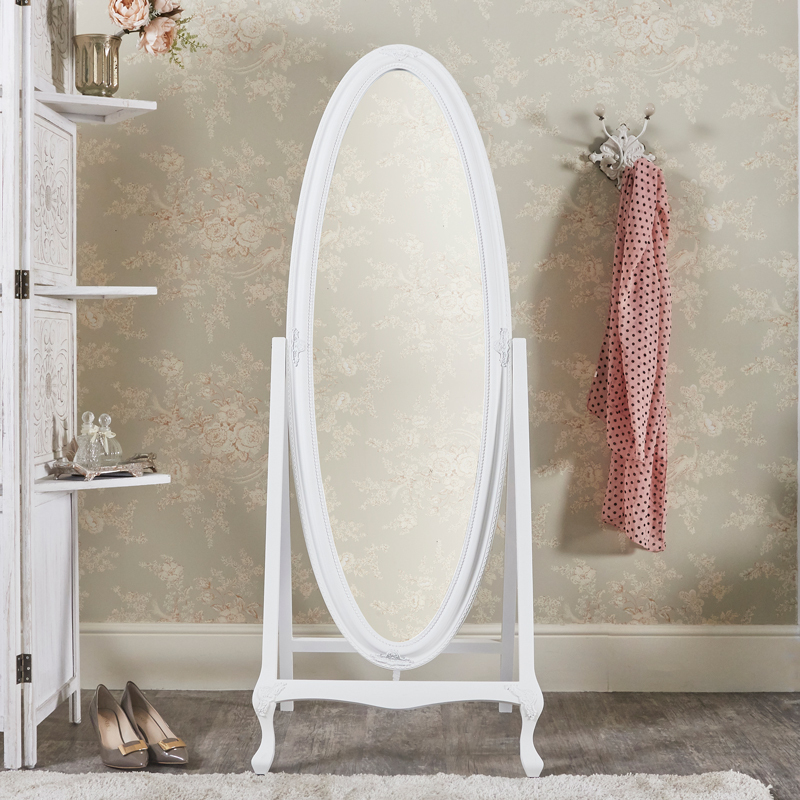 This mirror will be perfect for checking that you're looking great for the day ahead or a fun night out. 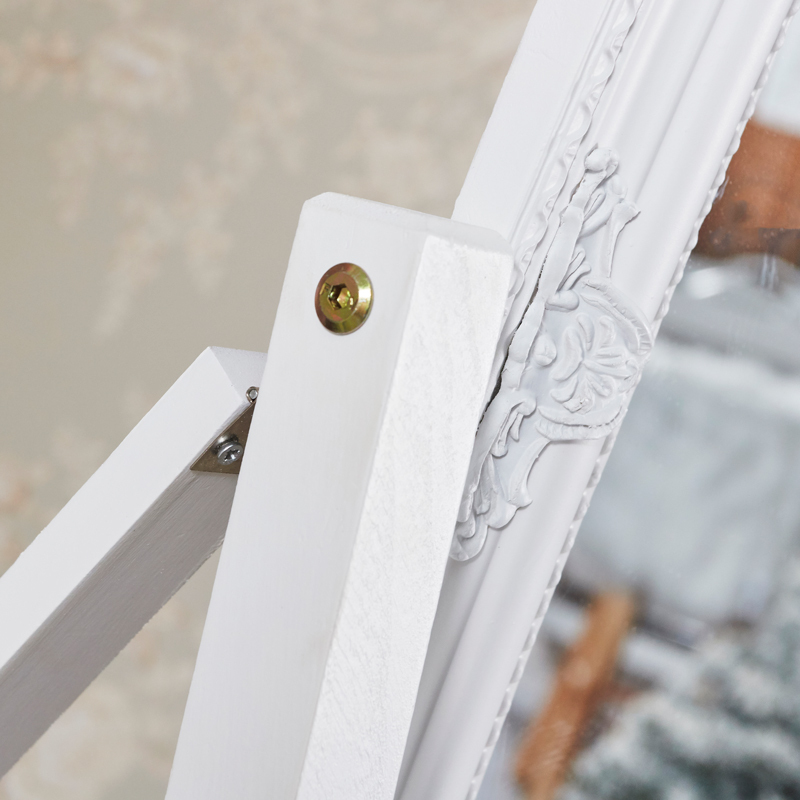 The frame and stand are made from wood and painted in an off white that gives a vintage look. We have an amazing selection of mirrors for you to choose from. From our extra large wall mounted/leaner mirrors to the smaller size in freestanding, table top and wall mounted designs. 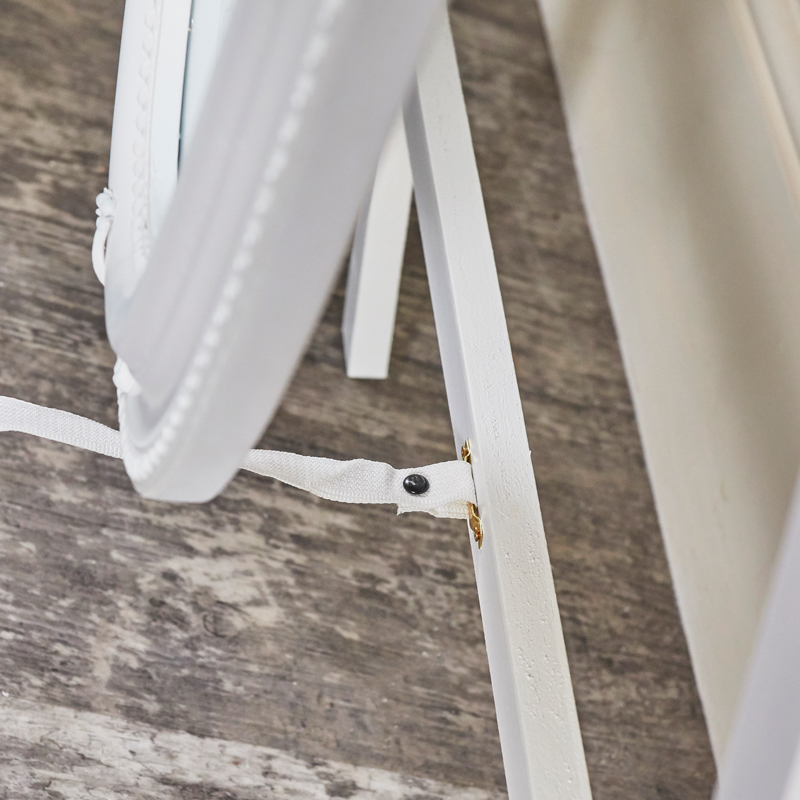 A great choice of colours, styles and designs to suit every decor.